My gaze followed the ripples as they widened on the deep blue waters of the Pangong-tso lake. They had a long way to travel before they succumbed to surface pressure. The water in this world’s highest salt water lake recognizes no boundaries, boundaries that my mind is forced to acknowledge. Of the 70 km length, the better part (40 km) lies in china and the rest in India. The lake is the closest we can come to a pristine water body within human access. A grueling 5 hour ride, passing through Chang-La found us on the banks of this lake, a wondrous creation of nature. The Chang-la is the world’s third highest motorable pass. The road rough was perpetually rough, the snow and frequent landslides ruining every effort the BRO takes to keep it smooth. We took a tea break at Chang-La. This area is not frequented by ‘regular’ tourists. 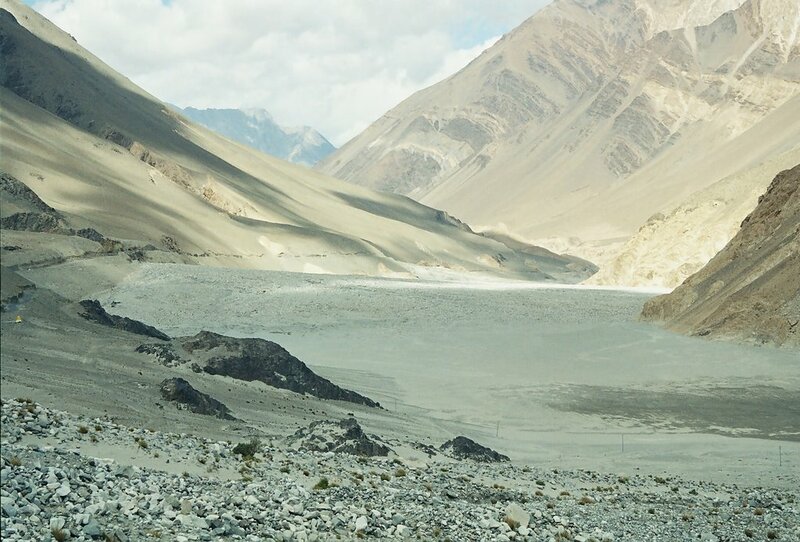 It’s those in search of the unusual who brave the distance to venture to the Pangong. We hardly met any cars either ways. The military trucks though, were plentiful. The landscape was as proud as ever, almost Ozymandias-like. The message was simple, take it or leave it! For those who choose to take it, hidden treasures revealed themselves in all their glory. Glimpses of the multi-coloured mountains, the coarse deserts, the magnificent but brittle rock, the sudden patches of green, enchantingly blue water bodies, the mighty peaks and the silently grazing cattle……vision-scapes of Ladakh, its real treasures. On the way to Pangong, we had stopped at a military post to hand over the mandatory permit. A couple of locals, a sister and brother, requested us to give them a lift further up from the camp. It was harvest season and they were heading home to help their folks with the efforts. Leave us as soon as you reach the mountain pass before Pangong they said. Since public transport is notoriously infrequent, we obliged. There was no sign of habitation for miles, we were not sure where in the wilderness they were heading. Close or remote, home is after all Home. As we said adieu, we wished them all the best with their lives. Such is the nature of the Ladakhis that during times of adversity, they will take life by its horns. And otherwise, they’ll loll on the grass and watch it go by. They are a very refined and honest people…respecting, almost worshipping the land they dwell on. Back at the lake, I could not take in enough of that tranquil blueness…I became painfully aware that this would be my last chance to let Ladakh wash over me. It was time to leave this paradise behind. It was very difficult to look the other way. Even the exhausting journey back seemed inviting if it meant staying with the landscape. We had to pack and be ready for our 9 am flight the next morning. It seemed unreal that I was on the banks of the Pangong at that time, pulling my parka close to keep the chill out and 12 hours later I was sweating it out in the New Delhi airport. Unreal! Unreal! Our last glimpses came from the plane as it flew high above the peaks and glaciers. We could see the roads we had traveled on go places in this Wonderland and other equally beautiful spaces where no man had ever set foot. Here ends this tale of this enthralling voyage. It had been my mother’s wish for some years now to see this magical land. The WWW played a decisive part in making this trip possible without any untoward incident. We finalized our travel plans, the hotel, the various locations and even our itinerary, courtesy the web. 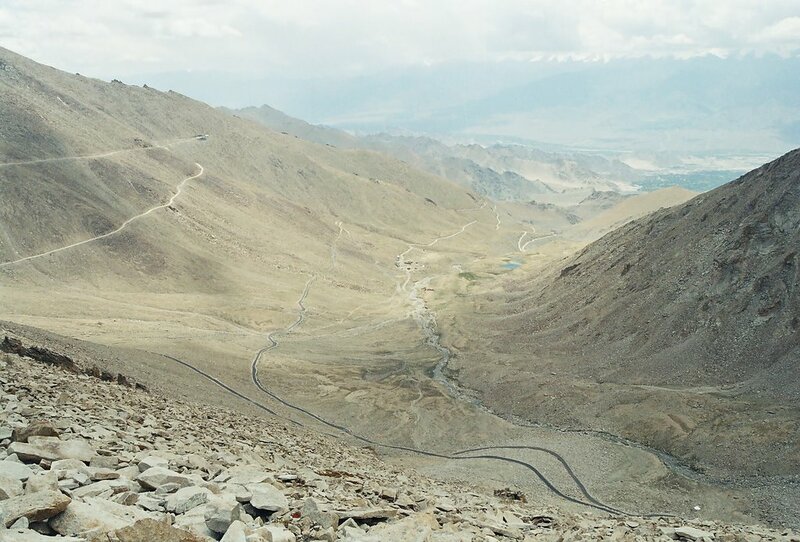 It’s easier to get into Leh – Ladakh than getting it out of you. And I don’t think I am ever going to try to.